Want to have HTA support in your SCCM 2007 SP2 boot images (with WinPE 3.0), but don’t want to implement MDT 2010? Follow these short instructions to get yourself on your way! When doing this for the first time, I recommend using a copy of the boot.wim and not your production boot.wim!! Import the .wim into SCCM and, voila, you now have a boot image with HTA support! 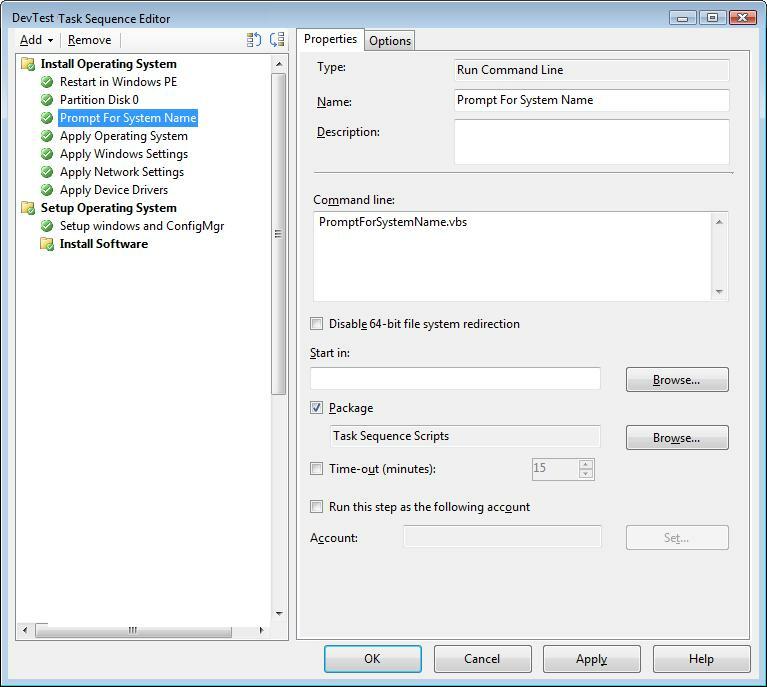 This entry was posted in ConfigMgr 07, How-To and tagged HTA, OSD. Thanx for this usefull information, i dislike the MDT2010 wizards and would like to use my own hta in my sccm task sequence. When i follow your procedure it returns a succesfull update boot.wim file, i can even import it in SCCM as a Custom boot image. I added a network driver via SCCM and enabled command support (no issues here) But when i want to boot my task sequence from this new boot image, i get Failed to run task sequence (0x80091007) . The only differece is the boot image. :( The architecture is correct (x86) I don’t get it. There is also no task sequence log i can view. Any ideas? Just a quick Bing search on the error code says that it’s related to hash error or package content mismatch. If you didn’t already do it, make sure to update your distribution points after the changes you made by adding drivers and enabling command support. Great article mate. Does that also work for the latest ConfigMgr 2012 R2 with the latest Windows PE from the latest ADK?